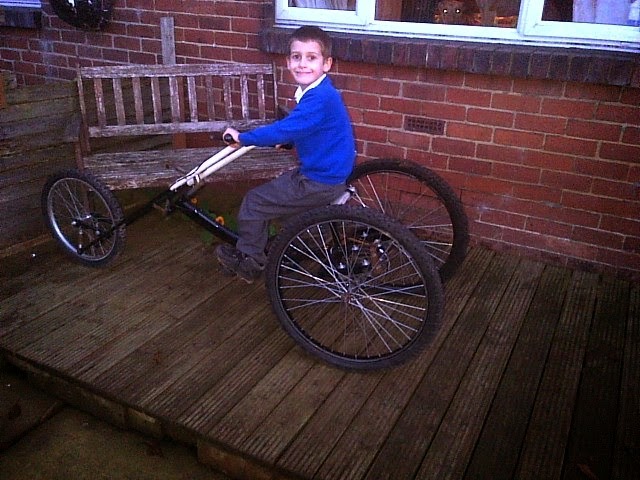 Another homemade bike made with the help of kids. Building bikes isn’t just for the young at heart. It’s a past time that youngsters can participate in and learn some skills along the way. 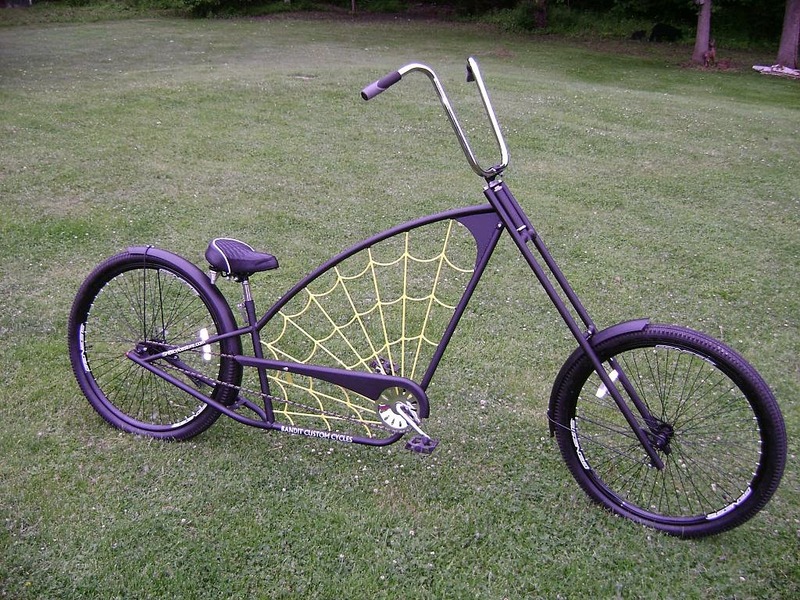 Bike builder and forum member, Naughtyboy, of England shares more photos of his homemade bicycle choppers. Chopping up and re-building custom built bicycles a passion that he shares with his kids. 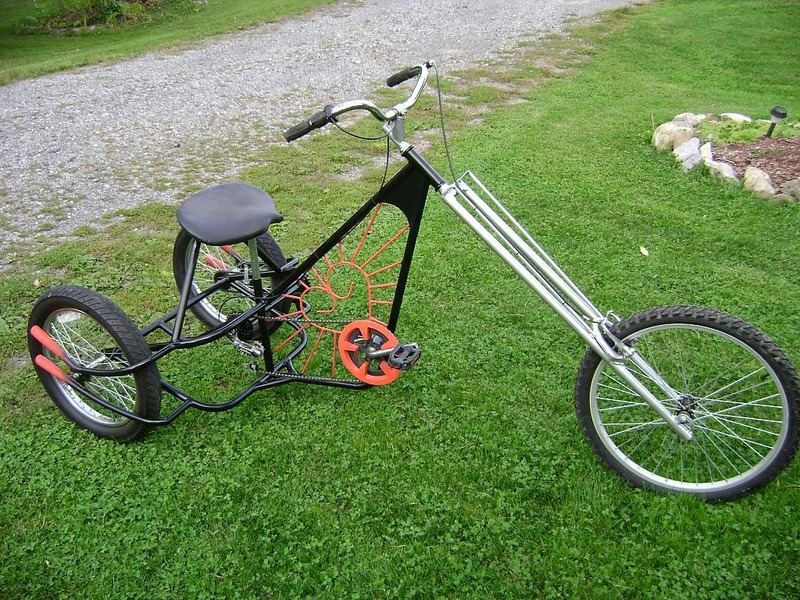 A comfortable and functional handmade front wheel drive recumbent made by Swizz69 in England, UK. Bike builder Swizz69 of England, UK, shares photos of his recently built recumbent lowracer @ the AtomicZombie builders gallery. It’s a beauty! Bike builders news – Pedal Positive! Think Positive…Pedal Positive! In this issue, Joe Crennen, the creative genius behind Pedal Positive, reveals what drives his creativity, the birth of Pedalpalooza and pedal tractor pull competitions. Folks in Colorado love bikes. Read about some of the unique human powered projects Joe works on. 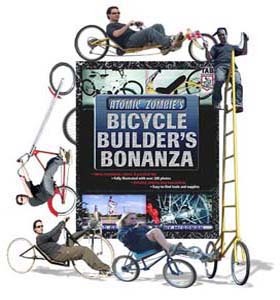 Also in this issue, Builders Gallery: recumbents, trikes, choppers, tandems, kids’ bikes, tallbikes, electric and motor cycles, cargo bicycles, and more. More than 2 million views! We need your help. Find out how you can get involved.